Everything you need to look after your SUP gear and get you out on the water. Board Bag Size -- Please Choose an Option --9'6" 10' 10'6" 11' 11'6" 12'6"
I should have got this from the word go, totally decked out now! 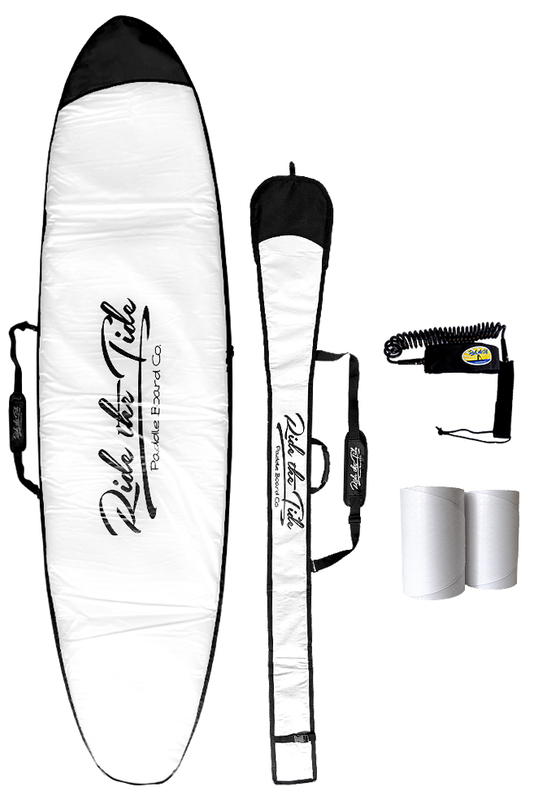 This pack has everything you need to look after your SUP with high quality products for the best price out there. Definitely a winner! If you're buying a SUP, this Protection Pack is a must to protect it! Everything you need is in it and you save heaps buying it as a pack. Love it! This package was included free with the offer I received - however, I would have purchased it because it is great value and all-round protection for my board. Worth getting for everything you get in the Pro package. Very happy indeed with my board and the Protection package. Thanks Ride The Tide Crew! Protection pack is great , but the rail tape is that no included in the package, my sister just bought and she thought it came with the protection pack. Seemed logical..) But was not in pack. I bought this sup and package upon my sisters advice and completely wrapped with your board..
Other SUP users not only admire the board, but at all the extras that came with the board for a competitive price. Am the envy with my covers! Really well made and a must to protect your gear.